3, 2, 1… it’s the final countdown to the 2018 Nicol of Skene Westhill 10k! We are stepping up to host a great race day and are pretty excited about it, just a few bits of housekeeping to sort out and we’ll be ready. Here’s some essential timings and race day information for both the runners and the spectators. See you all on Sunday! Registration is in the Westhill Academy Hall from 7.45am. Race Numbers, Timing chips and complimentary t-shirts can be collected at registration. The children’s races are on the Academy playing field. The Junior race (2.5k) and the 10k race will start next to the Ashdale Hall and finish on the Academy playing field. The first children’s race is at 8.45am, with children’s race presentations at 09.30am. The Westhill 10k warm up is with Rebel PT and starts at 09.40am, the race starts at 10am and race presentations are at 11.30am. 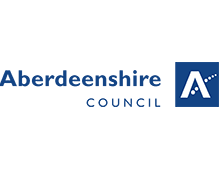 Car Parking is available in Westhill Academy, Westhill Primary School and Crombie Primary School. Ashdale Hall car park will be closed and please do not park in the Trinity Church car park. Bag drop is at Ashdale Hall and possessions are left at your own risk. To ensure the safety of the runners during the race, it is necessary to apply the following restrictions to traffic from 10am to 12noon on Sunday, 24 June. 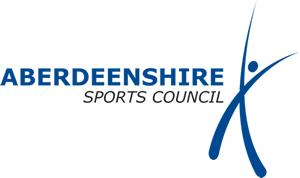 Road closed signs and barriers will be in place and dismantled as the runners pass, Nicol of Skene will be on hand to assist with road closures. Lily’s Dough Pizza, Liberty Kitchen street food truck and Cafe 2 U and will be on site for all your food and drink needs. Toilets are available in the Ashdale Hall and Westhill Academy. This entry was posted in Uncategorized by suzbird. Bookmark the permalink.